Professor Susan Parnell is an urban geographer in the Department of Environmental and Geographical Sciences and is the Director of the ‘CityLab’ at the University of Cape Town (UCT) African Centre for Cities. 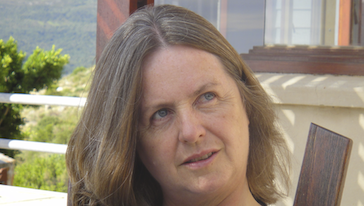 Susan Parnell’s early academic research was in the area of urban historical geography and focussed on the rise of racial residential segregation and the impact of colonialism on urbanisation and town planning in Sub-Saharan Africa. Since 1994 and democracy in South Africa her work has shifted to contemporary urban policy research (local government, poverty reduction and urban environmental justice). By its nature this research is not been purely academic, but has involved liasing with local and national government and international donors.